On 8 November ("Meet the Trademark Troll") here, we reported on the contemplated auction by Brands USA Holdings of various trademarks and corporate names that are no longer in use. 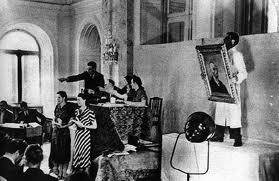 Exactly one month later, the auction went ahead as scheduled at the Waldorf-Astoria hotel in New York. As reported by Stuart Elliott of the New York Times ("From Retired Brands, Dollars and Memories" here), 170 properties were put up for sale in front of a room of 50 people (additional bidders participated online). The result: over a one-hour period, approximately 12 bidders purchased around two dozen marks and names. Viewed otherwise, the total take was $132,000, whereby the highest bid went for the Shearson mark (a financial company), followed by $32,500 for Meister Brau (not surprisingly a beer) and $30,000 for Handi-Wrap plastic wrap (I was surprised that this mark is no longer in use; I remember as a child the daily challenge of separating the plastic wrap from the sandwich that was trapped inside.) At the low end, marks such as General Cinema and Allied Signal were each sold for approximately $1,000 each. I do not know the details of the expense side of this auction, but one can assume that advertising, rental of the room, the cut owned to the auctioneer entity (Racebook Marketing Concepts), and the cost of filing and maintaining the various intent-to-use U.S. applications must certainly have eaten a healthy percentage of the take from the auction. The motivations for the purchase of these marks were for the most part opaque. For example, when asked by the purchaser of the Collier's mark (a respected magazine that once published the likes of J.D. Salinger, but ceased operations in the 1950s) what he planned to do with it replied: "You'll have to ask my father [who] owns a publishing firm in Philadelphia". 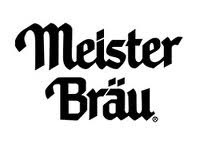 Meister Brau mark, namely, as reported by Matt Creamer in Advertising Age ("Meister Brau, Handi-Wrap, Braniff ...Going, Going, Gone"). There, the thinking seems to have been that the acquirer of the brand would "sign an manufacturing agreement with a contract brewer, put together an advertising plan, and then market it to younger (legal) drinkers." At least there is some semblance of precedent here, namely Pabst Blue Ribbon beer, a blue-collar brew of the past, which seems to have made a modest return from the grave based on nostalgia, effective advertising maintained on a shoe string, and a low price. It seems to me that, despite the media hype, this planned auction of defunct brands, no matter what the presumed nostalgia value, was a dud. We more or less anticipated this result in our earlier blog. What troubles me more is the question of whether the media, including the blogosphere, was guilty of being part of the over-hyping what turned out to be a non-event, at least from the commercial vantage-point (the legal questions about what rights exactly are being sold under such circumstances remain interesting at the conceptual level). Part of me says "yes", we were victims (yes "victims") as well as aiders and abetters of this hype. On the other hand, in a world where the identification of trends (and micro-trends) has become a widespread phenomenon, it is difficult to dismiss out of hand such a promotional initiative. Confronted with hesitatingly embracing the next big idea (especially when it resonates with existing cognates--here, the auction of patents and reference to an IP troll) and summarily rejecting it, there is certainly a strong tendency to adopt the former. After all, each of us wants to be seen as riding the crest of that next big wave, as opposed to being a stodgy, unimaginative naysayer. Perhaps this is the most important cautionary point that can be taken away from the auction. It is perhaps critical to note that what was actually being sold were royalty free, fully paid, exclusive licenses (that bidders were told can be turned into full ownership when a Statement of Use is filed) rather than trade marks themselves. In other words the seller does not own the given trade mark (as pointed out in the linked New York Times article) but effectively a right in a trademark application. Metis Partners believes that when selling a brand, there are two main focuses. Broadly speaking this can be summed up as – “selling the right stuff to the right people”. Selling the right stuff: As much data as possible must be gathered on the brand and the related assets as possible. The following questions are relevant: Are there other assets apart from trade marks that can be sold? What information would I want and what assets would I want to acquire if I were the buyer? Domain names (domains were purportedly included in every sale) are a good starting point, but there may be less obvious assets that are capable of being sold: product packaging, website content, databases and unregistered rights in logo’s to name a few. These all add value and will ensure that as high a price as possible is sought. Sell to the right people in the right way: Branding is all about perception and beauty is very much in the eye of the beholder. In order to achieve the best return possible the brand must be marketed to the right people. Focus on the specific market by carrying out market research and analyses and ask the simple question – who would this brand be valuable to? Coming back to Mr Reich and Racebrook: Did they sell the right stuff? Arguably not given that the trade marks themselves were not sold, and bar the domain names, it does not seem as though any other collateral was sold. Importantly it does not appear as though the “story of the brand” was narrated either. Did they sell to the right people in the right way? Again, arguably not. They seemed to rely heavily on, as Neil Wilkof’s article states –“media hype” and it is hard to believe that Racebrook carried out the kind of focussed marketing required to attain best value given that 150 brands were up for sale on a single day. In summary, selling brands via the auction route is perhaps best suited to selling many brands where either time or resource is limited but it is undoubtedly not the manner through which to gain the best price. To do this as we have shown the focus must be on selling the right stuff to the right people.